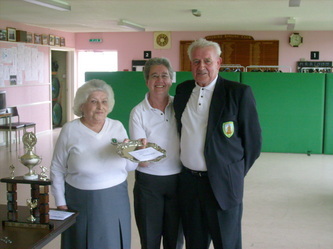 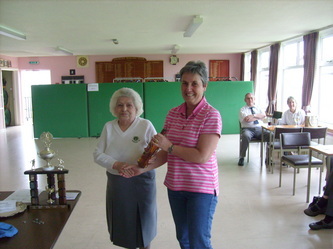 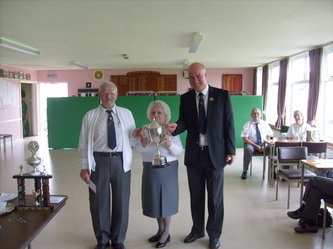 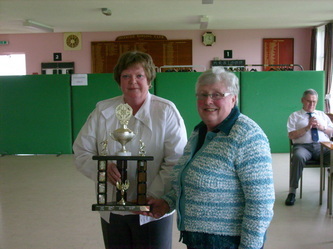 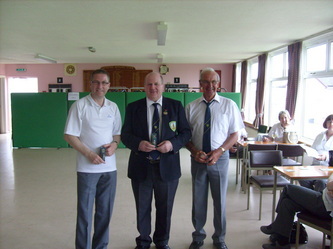 indoor trophies to the winners and handing over the bottle of whisky to raffle winner Pauline Radcliffe. The Opening of the Green Ceremony was conducted by President Jim Whyte on Sunday 14th April. 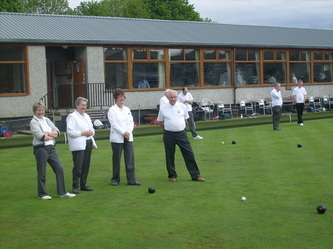 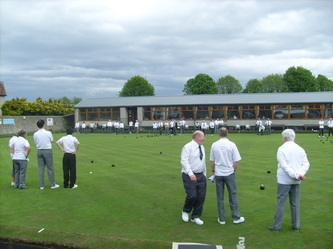 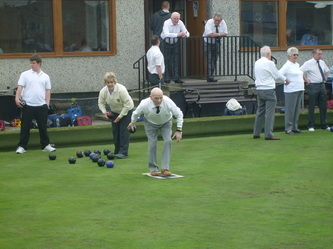 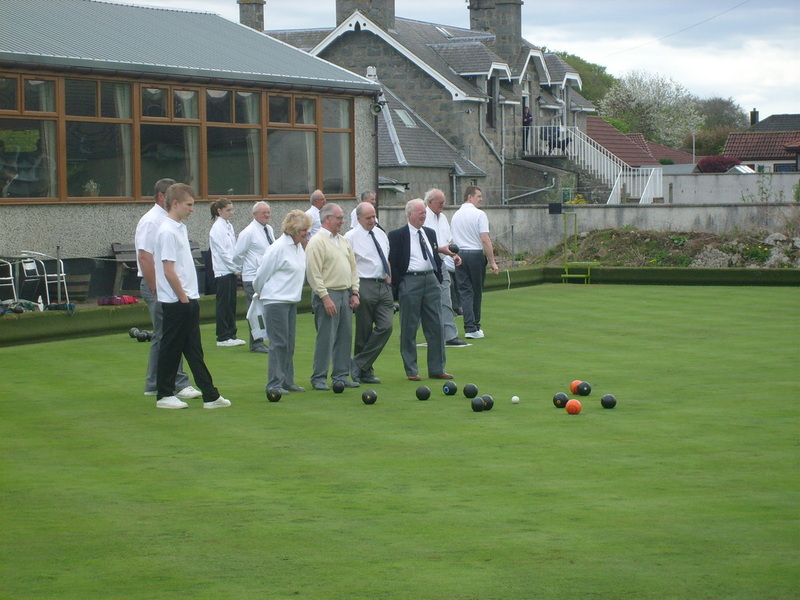 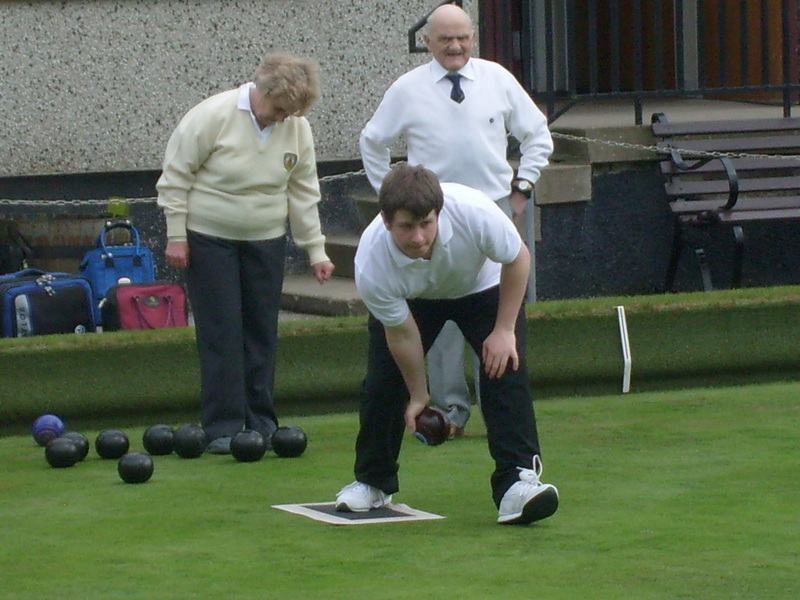 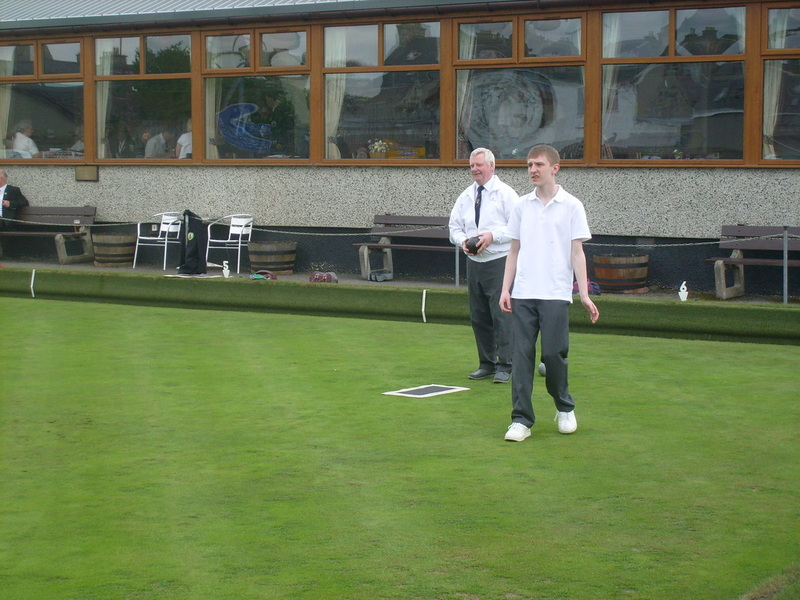 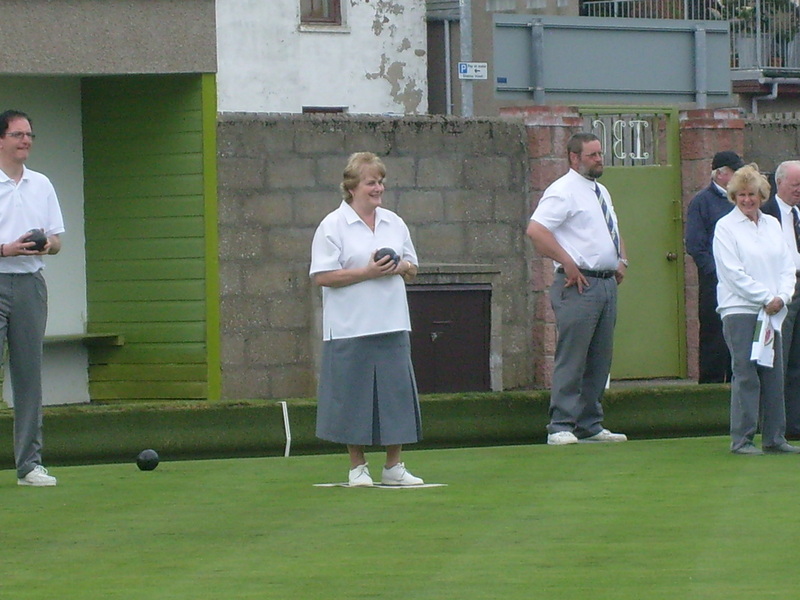 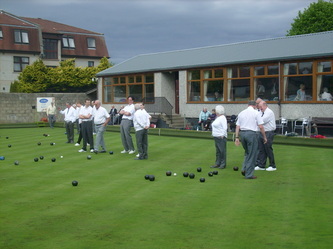 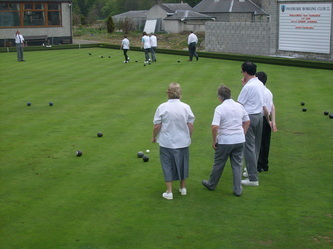 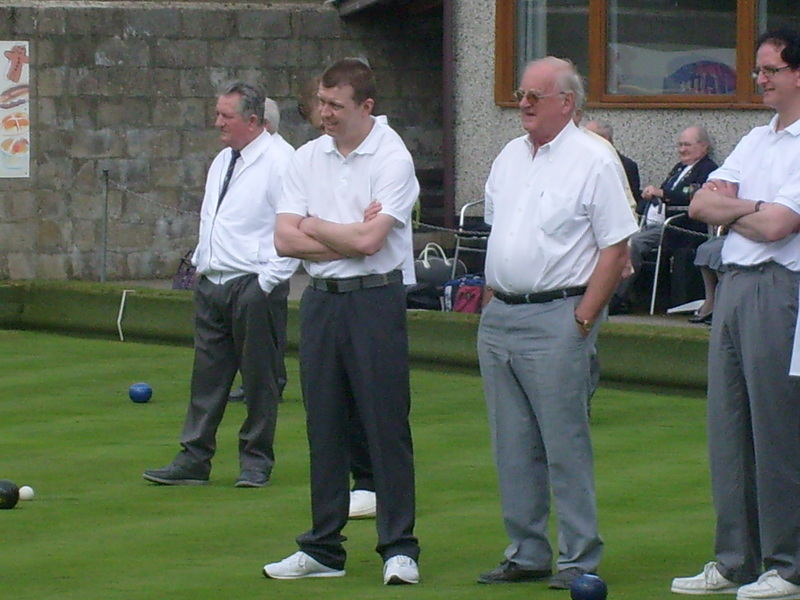 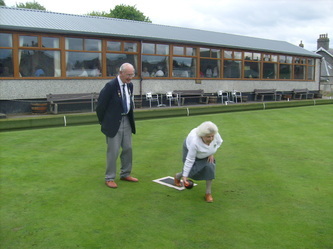 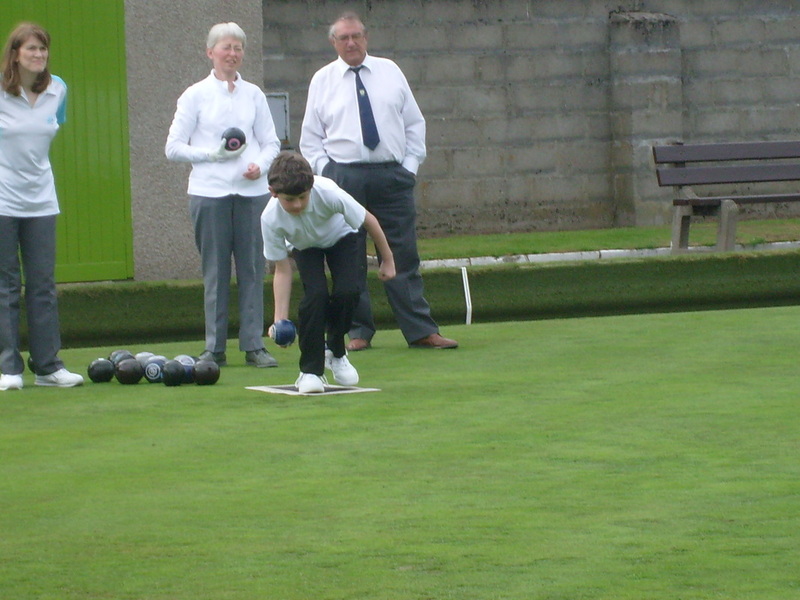 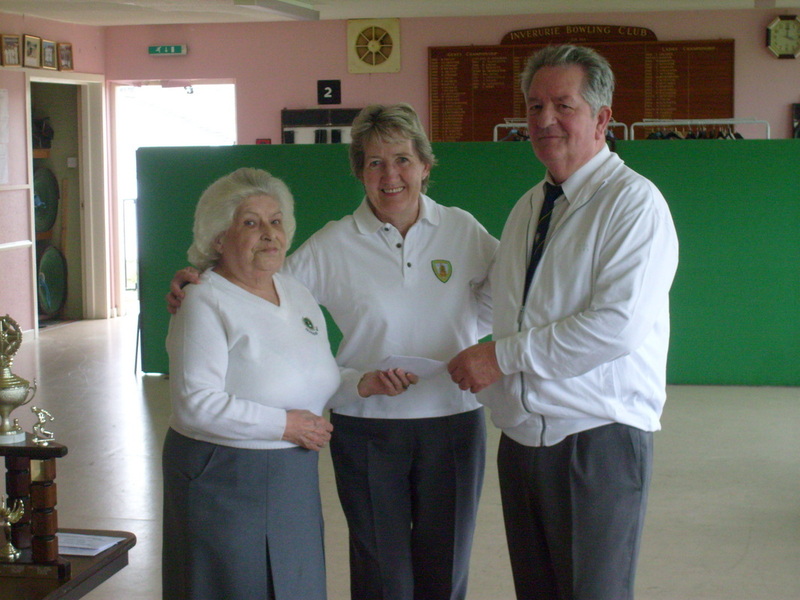 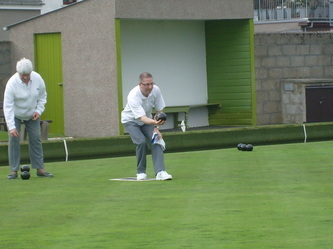 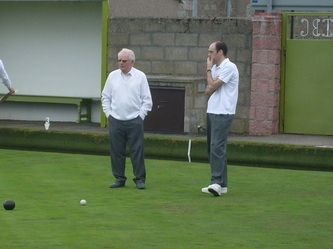 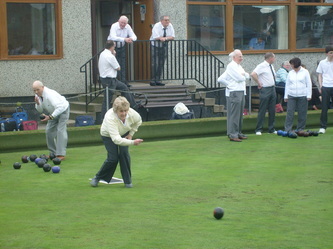 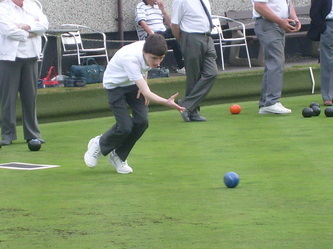 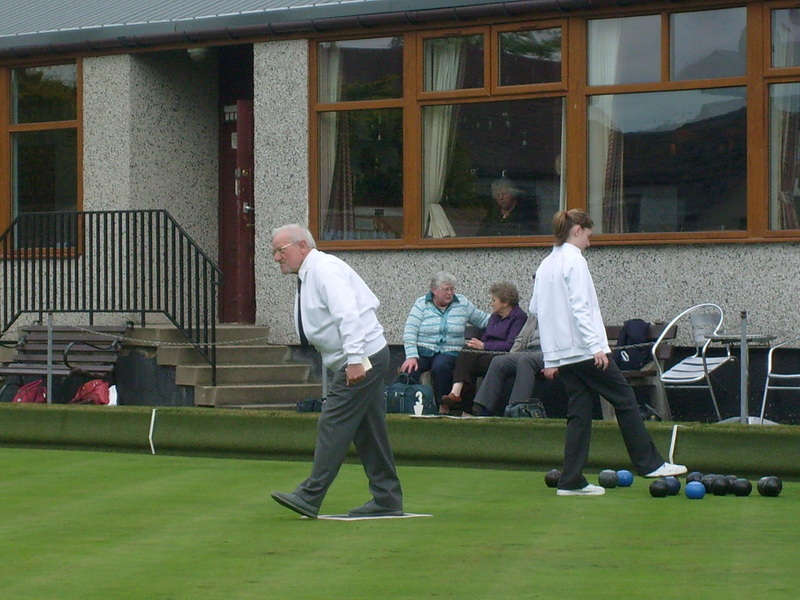 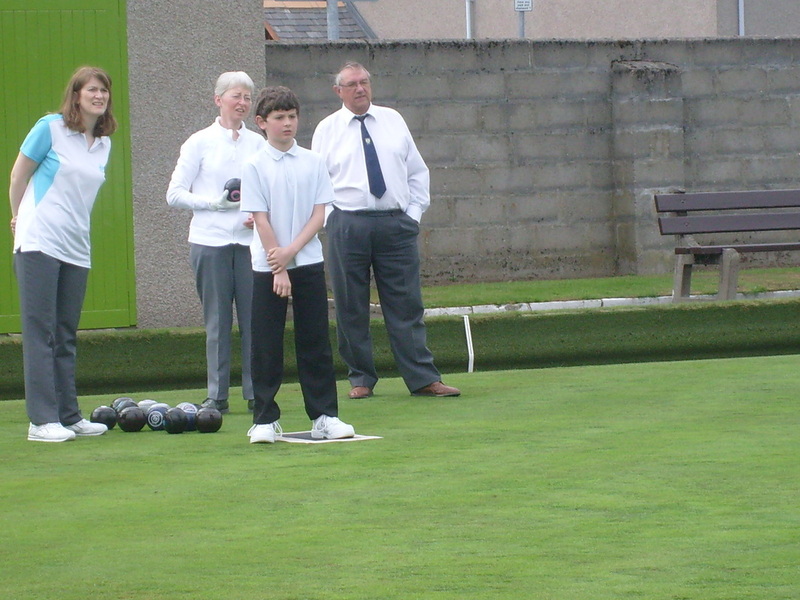 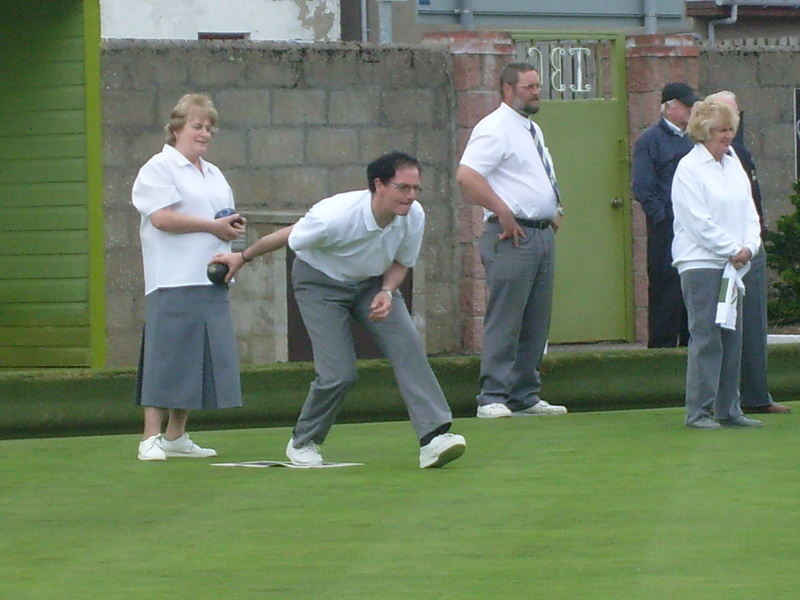 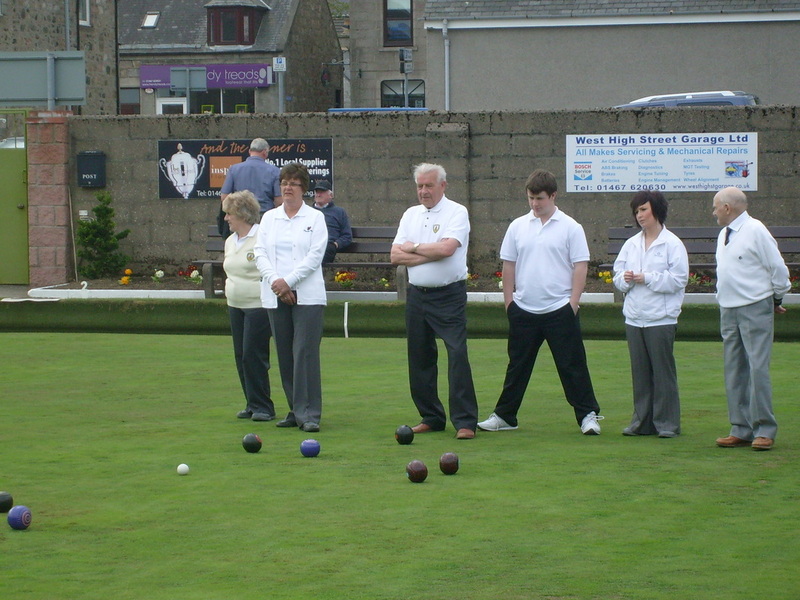 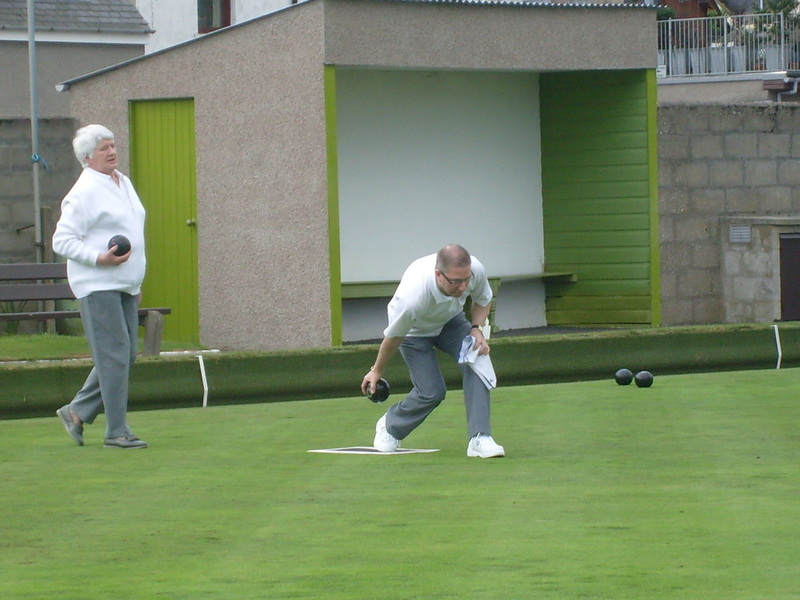 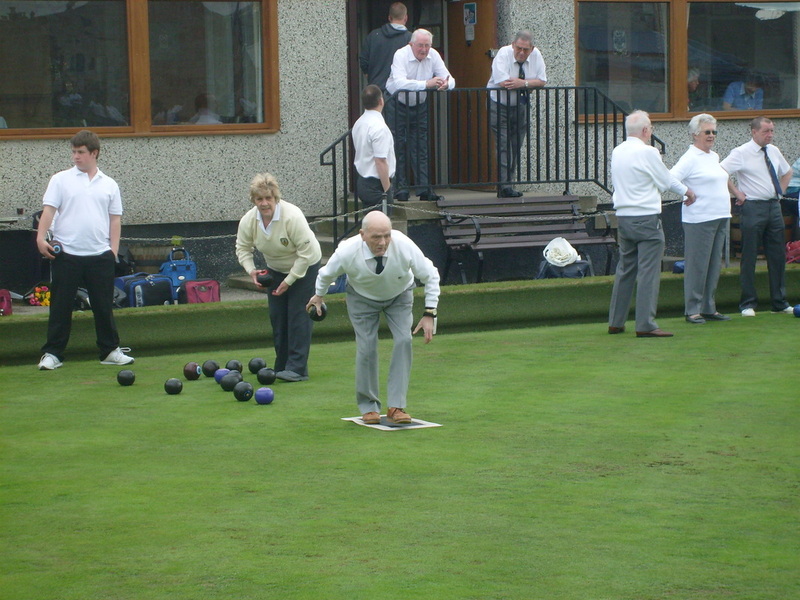 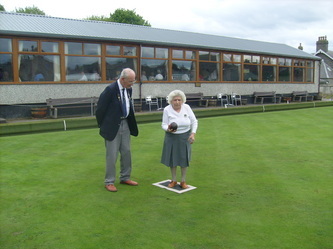 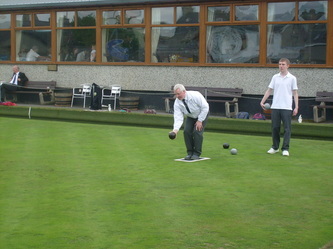 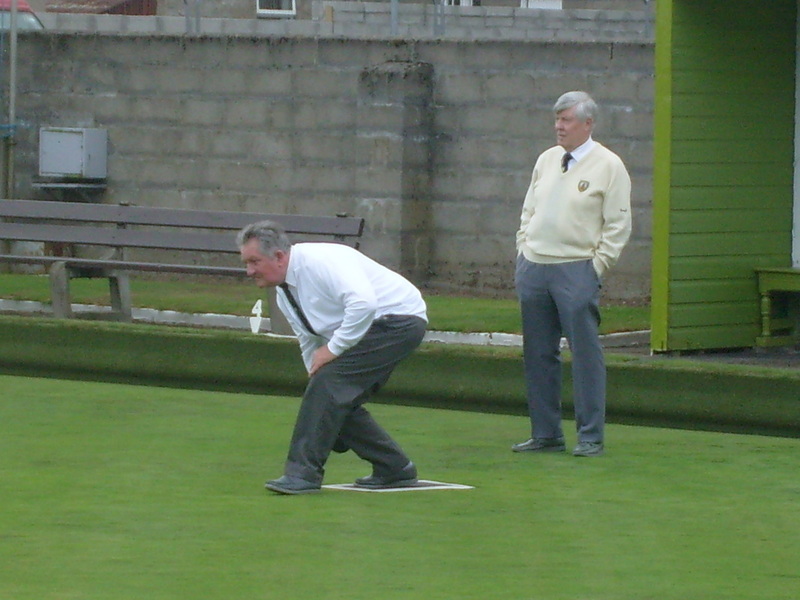 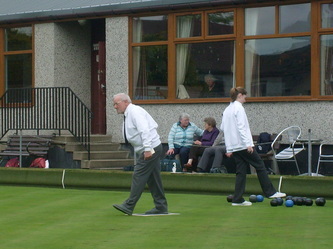 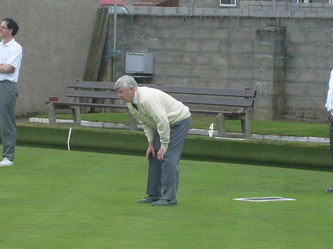 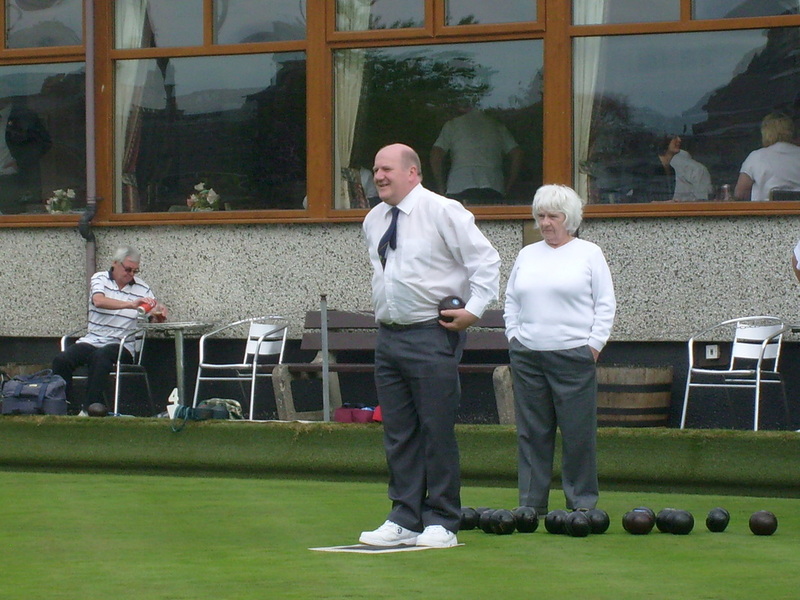 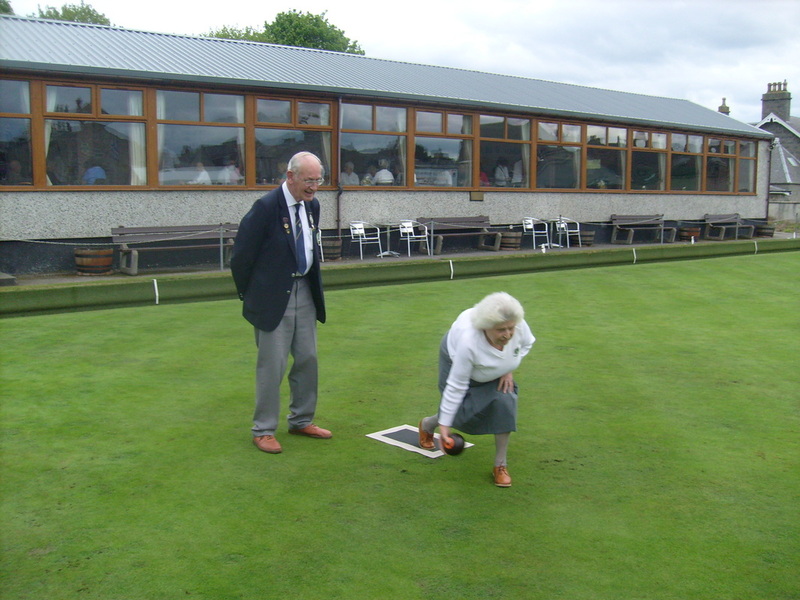 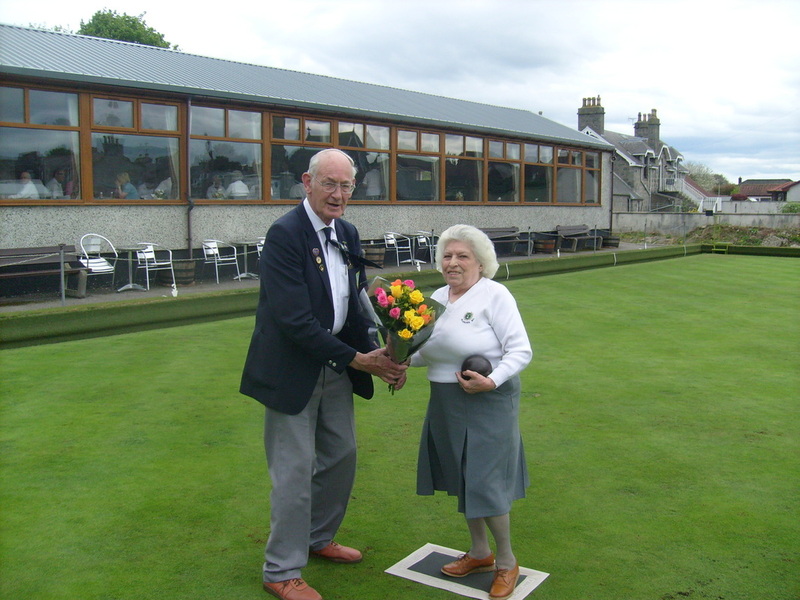 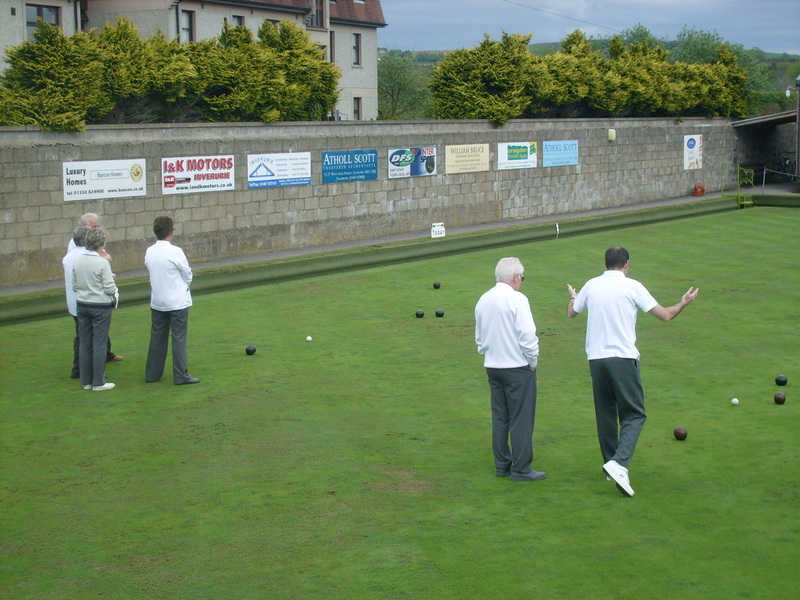 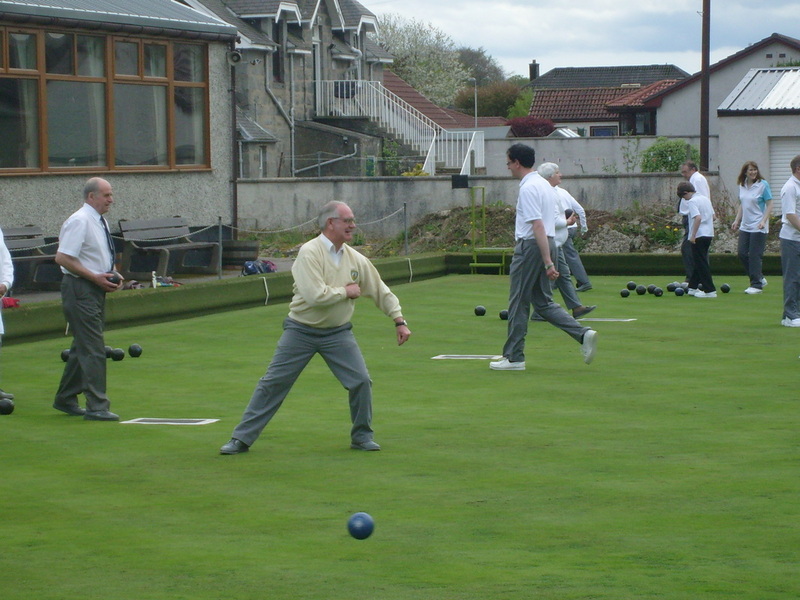 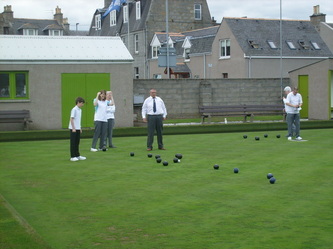 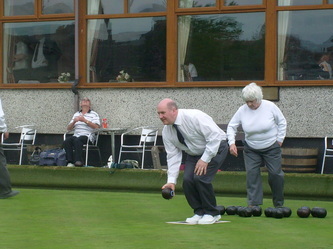 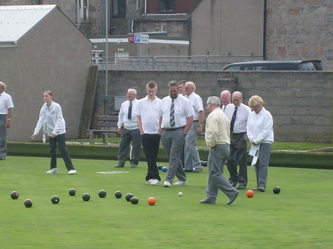 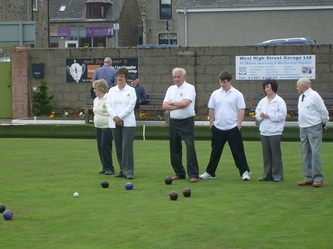 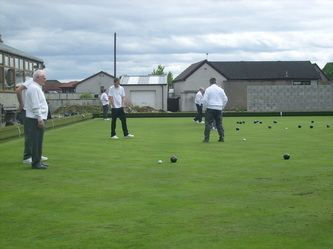 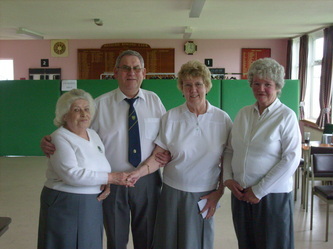 The opening bowl was delivered by Club Champion Jason Banks. 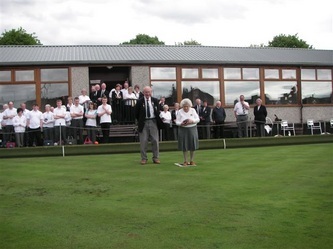 Jason went on to say a few words and in particular, thanked the club for giving him the opportunity and facilities to develop his game and allow him to achieve what he has in the game so far. Unfortunately, due to the recent wintry weather, the green was unplayable so there was no play and the green remained closed for maintenance until further notice. 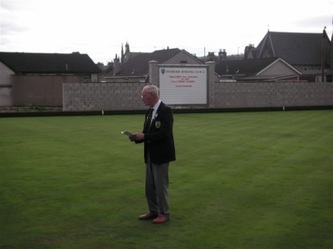 The bottle raffle was won by Jim Whyte, with the £72 proceeds being donated to The R.N.L.I. 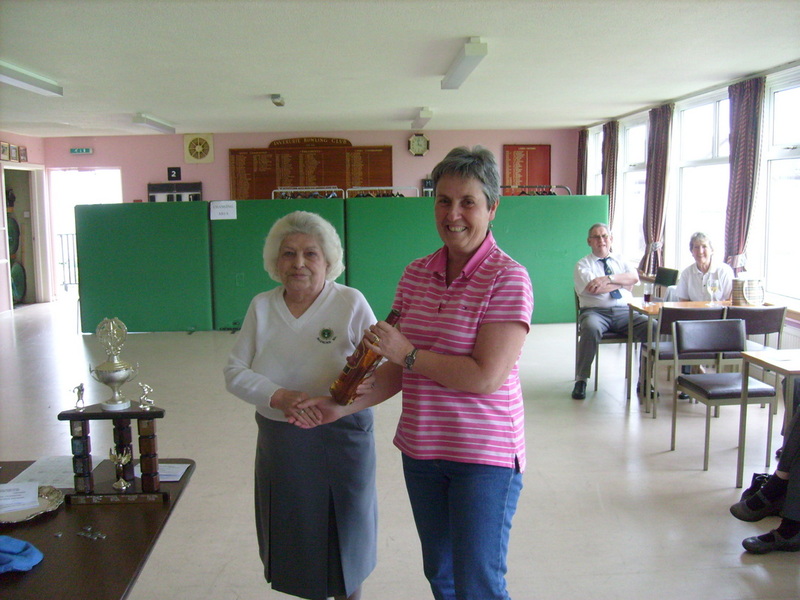 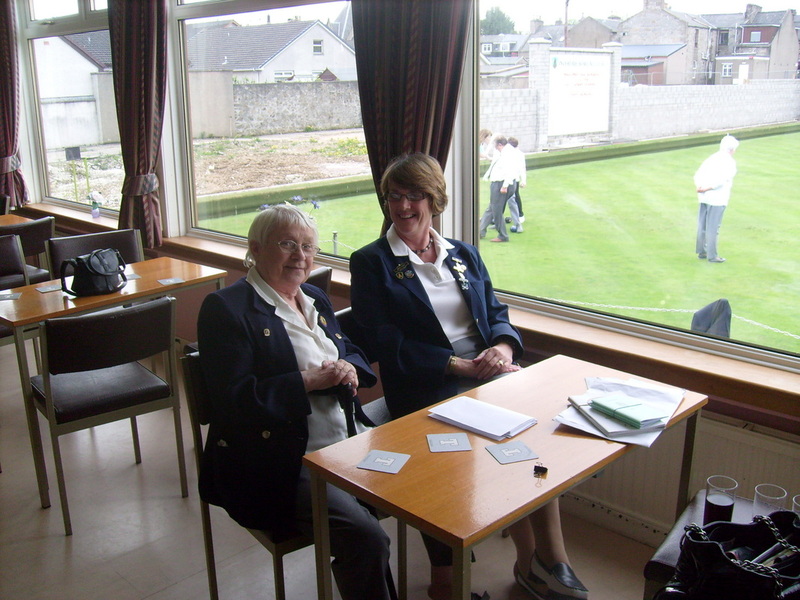 A futher bottle of malt whisky was donated by Marian Davidson - this was raffled with proceeds going to club funds, and Rhona Jarvis won the bottle. 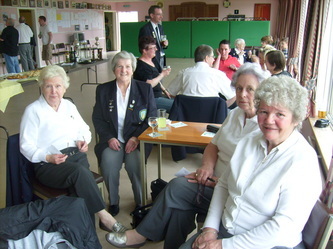 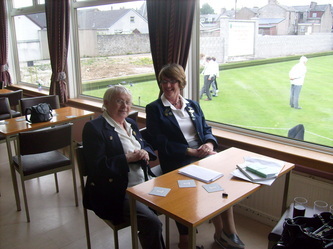 The indoor prize giving followed, and the day was finished off with refreshments. 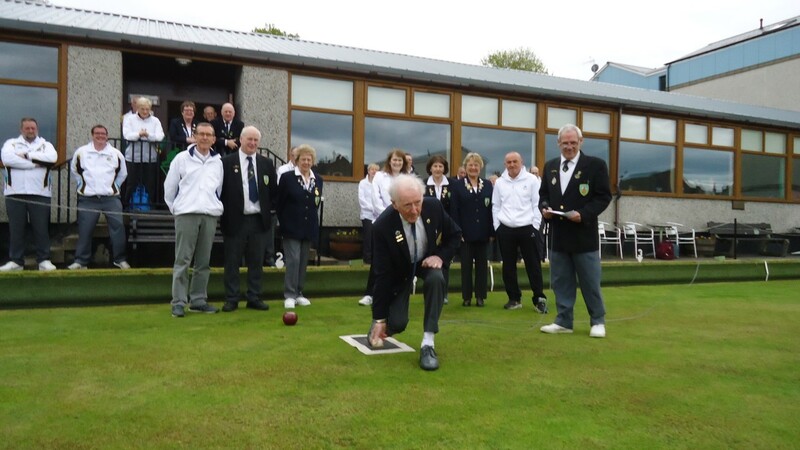 Thanks to our guests who attended on behalf of their respective clubs from Kintore, Harlaw and Kemnay.